How are you doing? Recently my luck took a turn for the better. 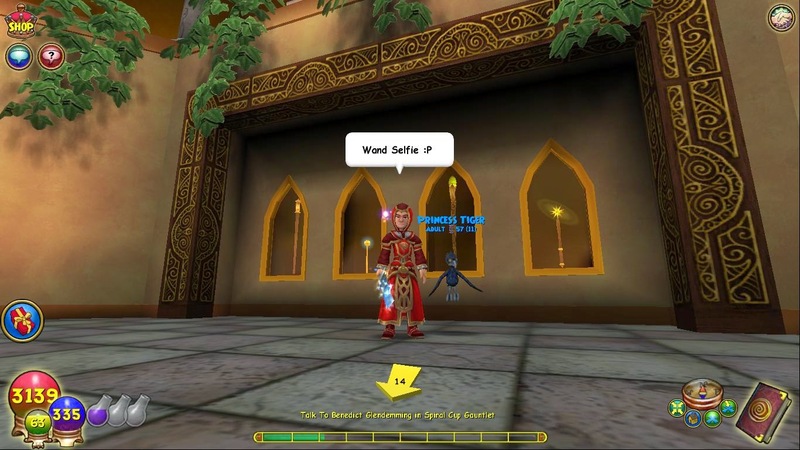 Silverleaf or WizFanGirl as she is known on Twitter has been generously hosting Twitterdraw's on her account. 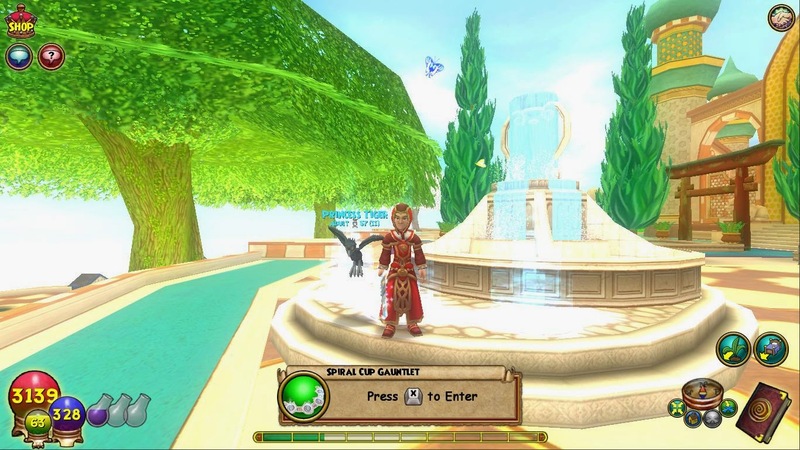 I was out for lunch with my family and all of a sudden I got a tweet saying, "The winner of our Twitterdraw for the Spiral Cup Gauntlet is: @BlazeShadowhorn CONGRATS! A DM will be sent with the code shortly." I was like, wait what? Did this just happen? And following that I basically fangirl freaked out that I had won lol. After doing some research and putting some thoughts together, I came up with a conclusion on how I feel regarding the Spiral Cup Gauntlet. Let's just say that this Gauntlet is probably one of the better ones (in my opinion) and here is why. Starting off, can we take a minute to appreciate how epic this mount is? It's a giant vine for god sakes! 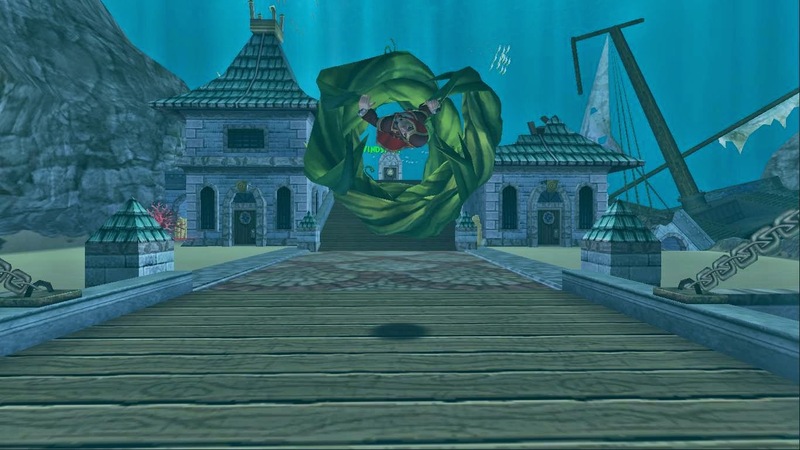 Not only does it have a really cool appearence while moving, but in worlds such as Celestia or in the Sunken Palace house, it has a unique movement that I think makes it stand out above others. For some reason, the Tanglewood Vine mount always reminds me of the Wood Style: Deep Forest Emergence jutsu from Naruto. Take a look and tell me what you think. It's not exact but to me the way the vines move and how it rips up the earth connects the two together. 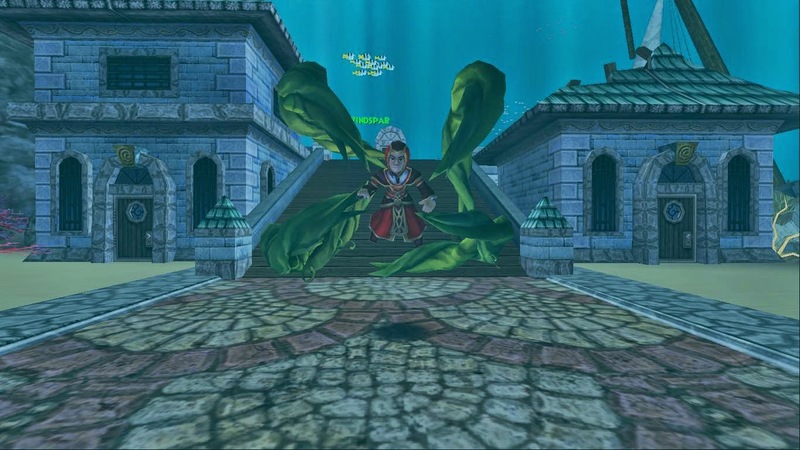 As for that underwater movement animation, they way KingsIsle developed this was very impressive. Yeah it could just be ripping up the earth underwater as it does on land, but instead it looks more like tentacles that are around ourselves. When you walk, they follow behind you and when you jump they spin around you and form what looks like a cocoon. 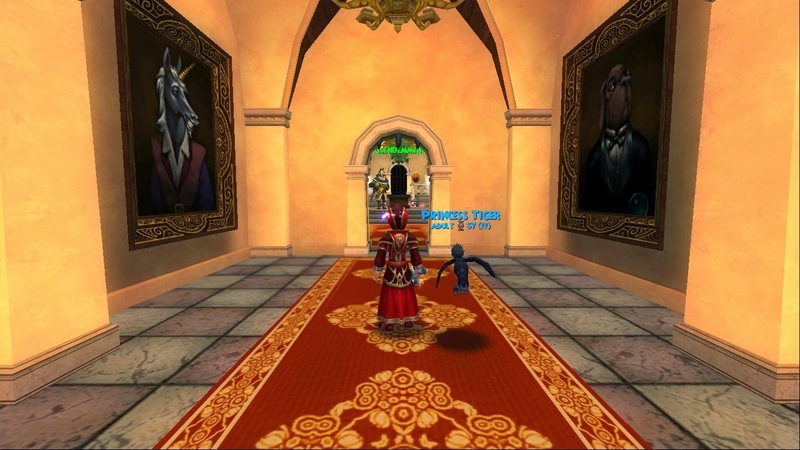 This is just one reason why I really enjoy this mount and why I was very impressed with how KI made it which leads me onto my next point, the armor. Despite the Spiral Cup Gauntlet coming out not too long ago and people have run it numerous times and the info is already known, I wanted to give my own take on this. To be honest, the armor given from this set is not too shabby if you ask me. Focusing mainly on Critical Damage, Pip Percentage, Attack Damage along with Resist, these pieces of armor can come in handy at times. Although it doesn't give any health (which can be a downfall for many Wizards), this is still a pretty fun piece of armor to wear as it is also pretty stylish if you ask me hehe. 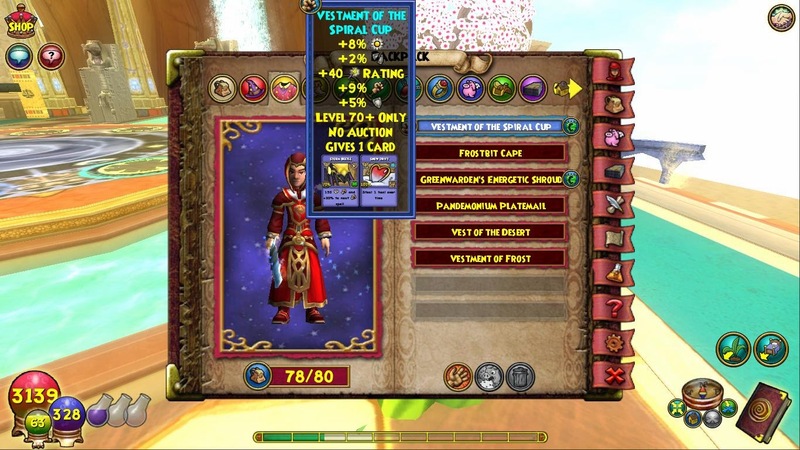 It racks up +21% for Power Pips, 21% Attack Damage, 15% Resist, along with a whopping 85% Critical Damage just from the Hat and Robe! A downfall for this set is the boots don't offer too much. 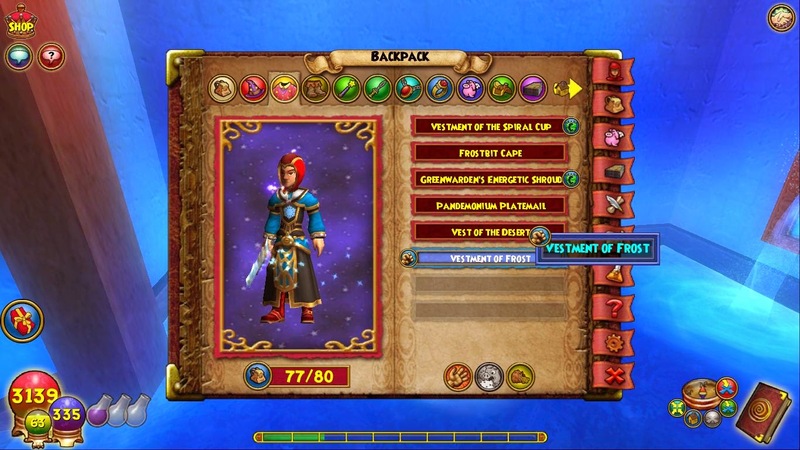 Before I continue talking, here is a closer look at what the gear offers for a level 70 Wizard. Although the gear comes with Steal Ward and Snow Drift, the rest of the stats don't really stack up as well. You could easily replace it with something to give a strong health boost along with possibly resist and power pip chance. Thus making it a more balanced build for your character. Moving on, the main reason we all buy this bundle is for the glorious Spiral Cup Gauntlet. 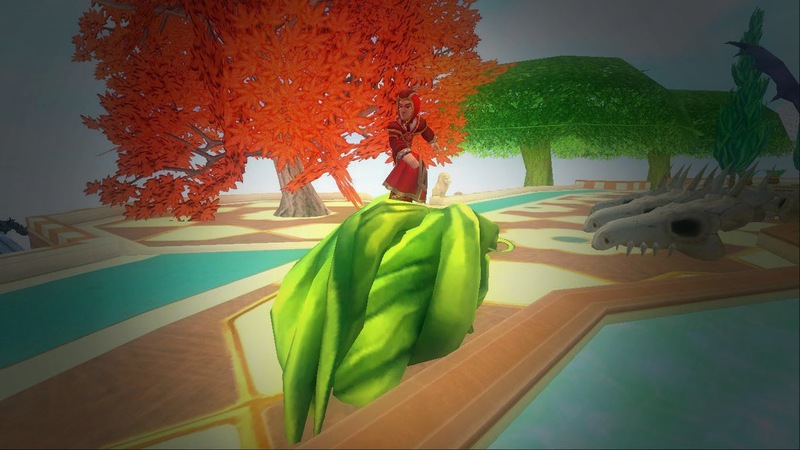 Known to drop rare pets such as the Rude Goblin, Dill Pig and Purple Spider, the Gauntlet also drops an assortment of other items for you to enjoy. My dear friend Swordroll made a really amazing guide covering drops and more so you can check that out here. 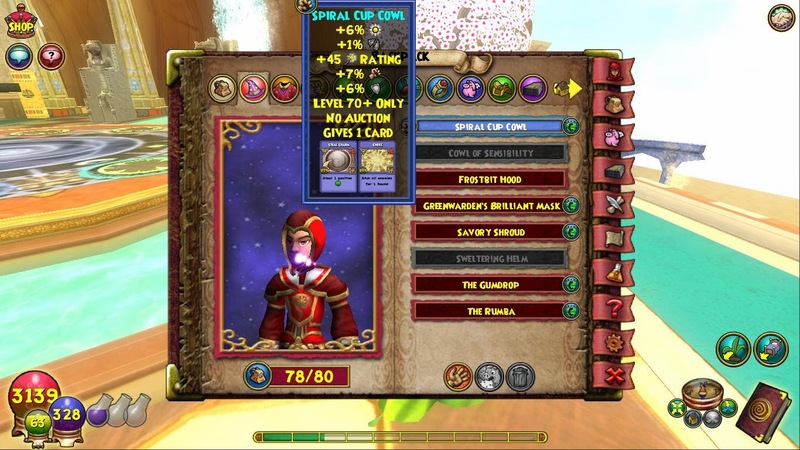 Although I haven't gotten the chance to run the dungeon yet, once I get a few friends together I will definitely do it and get the Spiral Cup Tutor badge. Based off of the Wysterian Schools (I knew these would come in to play someday), you can get various outfits fitting those types of magic. 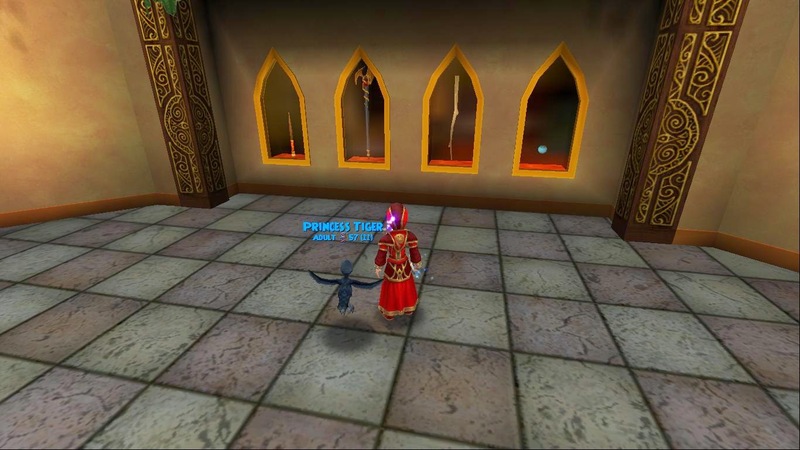 For instance, I wanted to check out the Vestment of Frost so I bought that from the Bazaar (thanks Swordroll for letting me know it was available lol). Yes, all vestments from the Gauntlet are available for sale in the Bazaar. No stats are given; it is just the outfit which you can use for looks or to stitch. As I mentioned throughout this post, there are many various things that make this one of, if not the best Gauntlet there is. The details put into this gauntlet, aesthetically speaking, really went above and beyond what I expected. 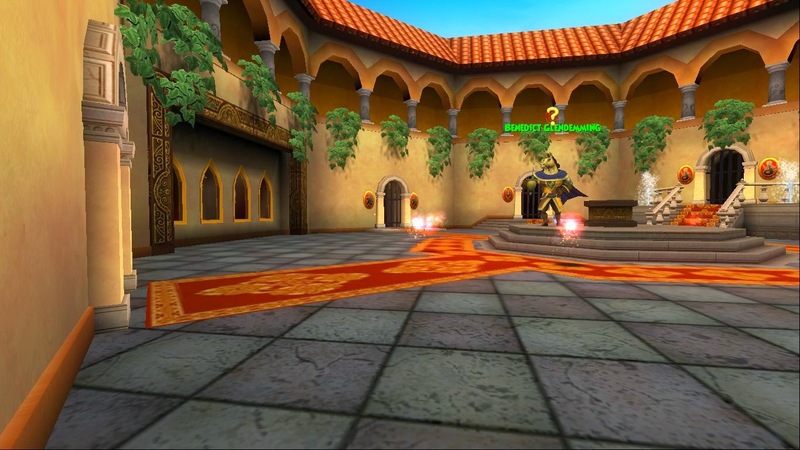 Not only does the actual Gauntlet item look epic, but the inside does as well and makes you feel as though you are right back in Wysteria! I hope you all enjoyed this post and I can guarantee you that the Gauntlet will be available to use at future parties of mine. Thank you again to WizFanGirl for this amazing gift and for always being generous and playing an important part in our community.